Linda L. Tewell, 71, of Lawrenceville, Illinois passed away Wednesday, October 17, 2018 at her residence. She was born December 1, 1946 in Lawrence County, Illinois, the daughter of Paul and Ruth Pauline (Summers) Harvey. She married Randy Tewell on November 23, 1963 and he survives. 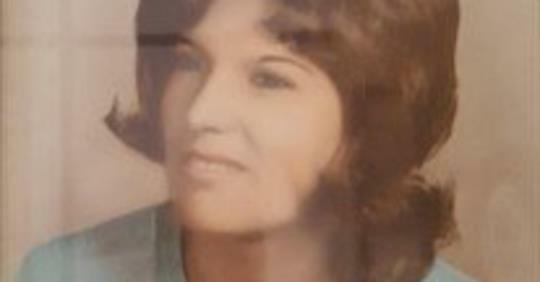 Linda was a CNA for 40 years and worked at the United Methodist Village and the Lawrence County Memorial Hospital. She was a member of the Wesleyan Christian Church. Preceding her in death were her parents and two brothers, Gary Harvey and Lonnie Joe Harvey. Survivors include her husband, Randy; one son, Keith Tewell and wife, Elizabeth, of Lawrenceville, Illinois; two daughters, Laura Wells and husband, Steven, of Bridgeport, Illinois and Vonda Bledsoe of Lawrenceville, Illinois; three brothers, Dennis Harvey of Lawrenceville, Illinois, Tom Harvey of Trenton, Ohio, and Jeff Harvey of Summersville, West Virginia; two sisters, Barbara Yarber of Lawrenceville, Illinois and Connie Harvey of Lawrenceville, Illinois; six grandchildren; ten great-grandchildren; and several nieces and nephews. There will be no services. In lieu of flowers, memorial donations in Linda’s memory may be made to Good Samaritan Hospice. Emmons-Macey & Steffey Funeral Home in Lawrenceville, Illinois is in charge of the arrangements.